I thought both of these creams were really nice and did a great job at moisturizing the skin. They are thick, and rick and well made creams. These are both expensive creams, so it is no wonder that they would do a good job. What I like a lot is that you leave them on the skin and they sink into it like water into dirt. My skin craves moisture these days and these creams do the job. Very nice they are, well made and well worth the money. Both of these creams are a great gift for anyone who is going through the aging process now. So this could be a woman in her 30's or older. Or you could give this to your mother-in-law, mother, etc. Any woman who loves anti-aging gifts. Illuminate and infuse your home with Elemis aromatics. The benefits of this one is that it awakens, refreshes and restores. It is an exotic floral aromatic with notes of Oriental Orchid, Jasmine and Sandalwood. This candle smells amazing. When lit, the aroma spreads throughout the room, allowing you to calmly become more centered and refreshed, restored. The scent is soft yet has a light floral to it. The Orchid is downright beautiful. This will make a great gift to anyone, a friends, neighbor, sister, mother-in-law, etc. I just think it makes a great gift in general. This candle lasts a long time too, which is very nice for the price. 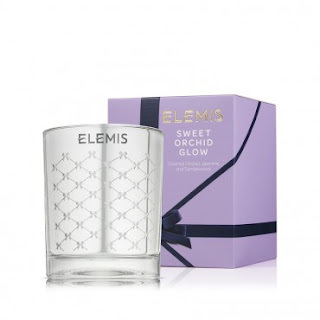 Elemis is one of the most popular brands in Great Britain. It certainly does well here too. You can find it on www.elemis.com/us. 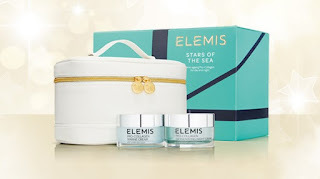 Like Elemis on Facebook:https://www.facebook.com/elemisus ; Follow Elemis on Twitter:@elemisus; Follow Elemis on Pinterest:https://www.pinterest.com/elemisltd/ and Follow Elemis on Instagram:https://www.instagram.com/elemisltd/.